Hi Ho Hi Ho – it’s off to the cardiac institute we go!!! Our team hits the Tanzanian traffic at 6.30am. After the expertcaseassessmentit’s all systems go! Open heart surgery commences today at Jakaya Kikwete Cardiac Institute (JKCI) with two operating theatres running simultaneously – it is indeed the gift of life. Wow – this is why we came! 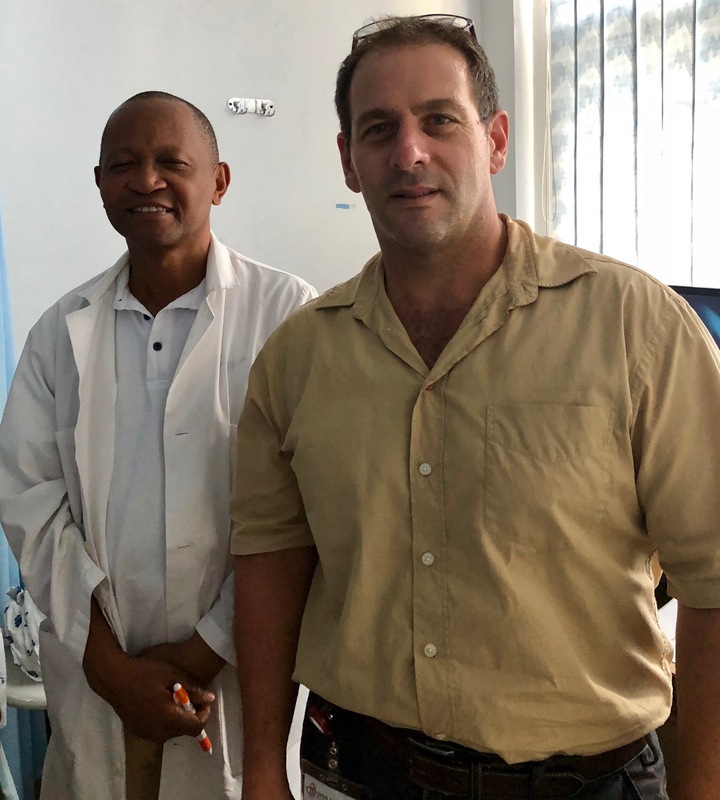 I feel that every cog of this well-oiled Aussie/International/Tanzanian machine gives their all to ensure the best possible outcome for each patient. Each case is highly complex and there is always risk involved but these doctors and nurses from Open Heart International (OHI) have been hand-picked. They shoulder this responsibility with a wealth of experience behind them, an unflappable manner, endless problem solving and enormous talent.Healing -teaching – learning – repeat. The camaraderie and mutual respect between both our team and the Tanzanians is wonderful to behold….bravo team! Our Aussie cardiac surgeons Jayme Bennetts (adult surgeon) and David Andrews (paediatric surgeon) alongsidethe Tanzanian surgeonsGodwin, BJ Nyangasa,Everest, Hussenali and Neemacalmly lead the charge working like a finely tuned symphony orchestra within this expert team of anaethetists, intensivists, perfusionists, theatre nurses, and cardiologists. Mending hearts starts now …. four open heart operations performed on the first day of surgery – 2 adults and 2 children. Oh and by the way we found out that it was our hard working interventional cardiologist’s 45th birthday today. 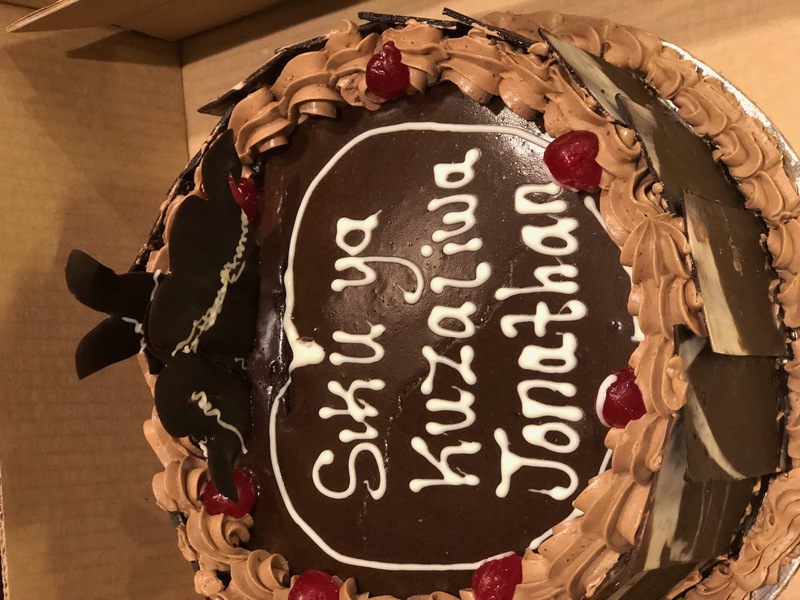 Unfortunately he didn’t get a chance for morning/afternoon tea so we couldn’t sing happy birthday or cut the cake iced with swahili birthday greetings. We were hoping to celebrate at dinner and took the cake with us, however our birthday boy wasn’t there for long as immediately called away with David Andrews and Arjun Chavan due to being urgently needed back at the intensive care unit. We know that these patients are in the best of hands and hope that everything goes smoothly during the night. The cake can wait until tomorrow.